Research on cellulose nanomaterial safety is ongoing in academic, government, and private labs around the world. With support from the U.S. Endowment for Forestry and Communities' Public-Private Partnership known as P3Nano, Vireo Advisors has mapped this research. 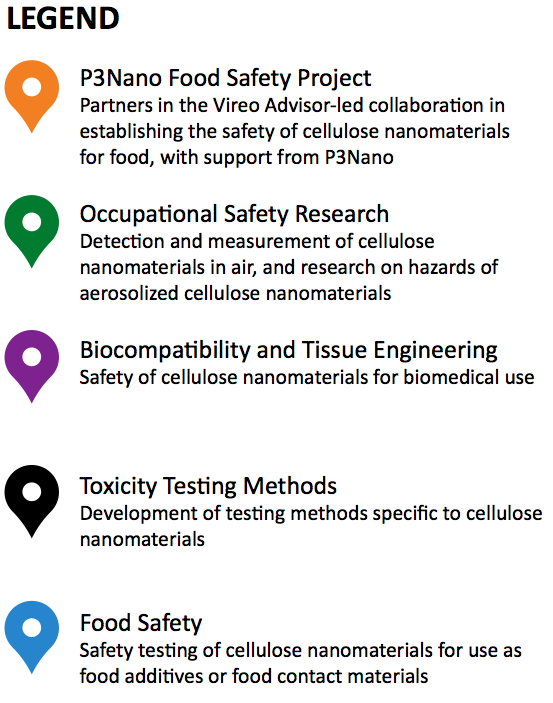 Click on any icon below to learn more about cellulose nanomaterial safety research activities.